Afghanistan: The Afghan taliban launched attacks on military checkpoints in the various provinces of Afghanistan and Nato Air strikes in the city resulted in the killing of 17 people including women, children and several others sustained injured. 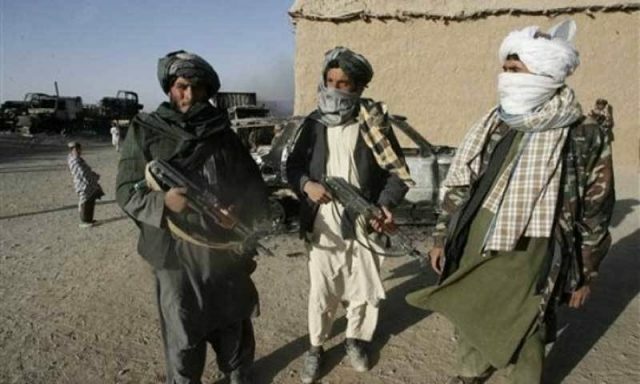 Mohammad Nasir Mehri, spokesperson of governor of western province of Farah, Afghanistan, said that the Taliban attacked military check posts in Bala Baluk area, killing 4 personals and injuring 6 officials. He said that 19 militants of the Taliban were killed and 30 wounded in air strikes of Afghan forces. Haseebullah stanekzai, council member of the eastern province of Afghanistan, said that 4 women were killed and four kids were injured in firing near near Pali Alam in Logar province. In Logar province, the Taliban attacked the police checkpoint, where armed clashes occurred, and the police demanded further assistance from US Officials. Deputy Chief of the Interior Ministry spokesman Nasrat Rahimi said that air strikes was utilized in the area mentioned by NATO, but in error, police personnels were targeted, resulting in 9 personnel killed and 14 injured. He said NATO and Afghan government had launched joint action against the incident. READ MORE: The World's Most Militarized Zone Is Bleeding For Freedom! NATO spokesman Lieutenant Colonel Martin O'Donnell confirmed the incident, saying that the action was taken in cooperation with the Afghan forces. Earlier the Taliban attacked the police in Ghazni, where 4 officials were killed and others were injured. On August 5, Three NATO soldiers and 2 Afghan soldiers got injured in Suicide bombing by Taliban Fighters. It is clear that from January 1, 2015, NATO's International Security Assistance Force (ISAF) was replaced with training and support mission, which allowed approximately 13,000 NATO troops to stay in Afghanistan. Due to the war against the Taliban, violence has spread throughout the country, and in 2014, around 3,788 Afghan civilians have died, which has been the worst year according to UN.